Old Man Winter’s grip is loosening, and beautiful spring is finally here! Spring is our favorite season for a number of reasons. Not only does springtime mark the end of Georgia’s unpredictable winter, but it’s also a time for rebirth and refresh. The birds are chirping, daylight is longer, and we’re finally able to go outside and soak in Mother Nature’s benefits. In addition, the season for spring landscaping is finally here. The landscape experts at Mansell Landscape Management are here to answer some growing questions about spring lawn care (pun intended). 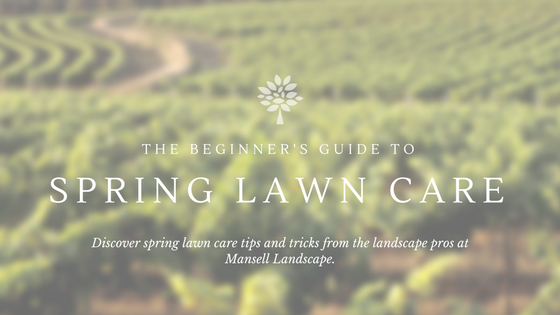 Follow along to our 5-minute read in the Beginner’s Guide to Spring Lawn Care. Why is Spring Lawn Care Important? 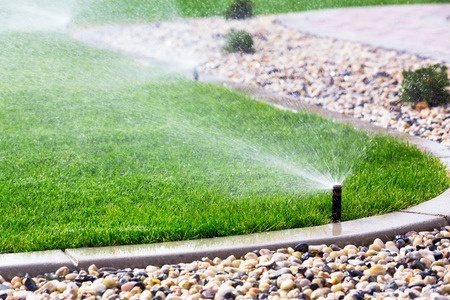 To start, let’s quickly explain how lawn care is important to your home’s value and health. A healthy, well-maintained yard is more than the attraction and aesthetics. Additionally, a well-maintained yard can help your home’s marketability. Q: Does Landscaping Add Value to Appraisal? Absolutely! Landscape design can increase your home’s resale value by 20%. Experts recommend to invest about 10% in your home’s value in landscaping (including soft and hardscaping). 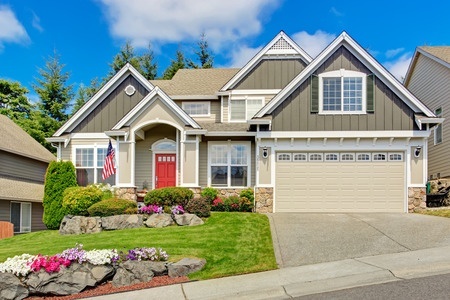 To learn more about how to increase your property value, read our 5-minute read blog on 7 easy tips to increase property value with landscaping. For even more curb appeal tips, check out our landscape tips. Q: What is Georgia’s Last Frost Date? The average last frost date in Georgia is March 20th, and the first fall frost is November 21st. This makes growing season last 245 days. However, the last frost date in Georgia areas vary depending on location. For a full list of region-by-region first and last frost dates in Georgia, check out the interactive Georgia average last frost date map. Q: When to Plant Grass Seed in Spring? 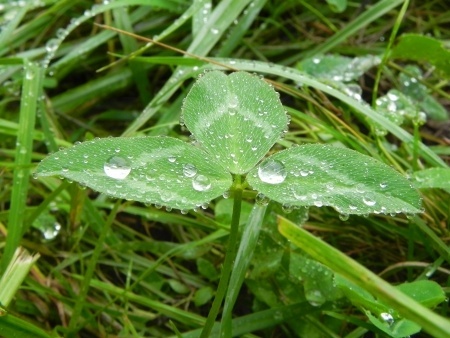 The best time to plant grass seed in spring is when the temperature reaches above 65°F. Timing is everything. Grass grows the fastest when your planting season matched up with the seeds’ natural growing period. Lawn grasses vary in their growth cycles and regional climate preferences. There are typically two categories of grass, cool weather grass and warm weather grass. As you might have inferred based on the names, these different types of grass grow better in respective climates. For example, cool weather grass grows better in areas with cooler climates that have colder winters. Additionally, warm weather grass thrives in regions with warmer springs and summers. Since Georgia falls in this category, we will focus on when to plant warm weather grass types. What are warm weather grass types? This allows the warm weather grass seeds to absorb the benefits of the warm Georgia weather. Also, you should seed warm weather grass in early spring and into the summer. *Pro-tip: Plant the grass seed according to the grass type and not the climate. For example, if you want to plant warm weather grass in a cooler climate, plant the grass seed in early spring. Q: When to Fertilize Lawn in Spring? Fertilizer is food for plants, so it’s an important question to know the answer to when the best time to feed your lawn is. The best time to fertilize lawn in the spring is from March to May. Warm weather grass, like Bermuda grass and St. Augustine grass, grow very fast in warm weather. However, if you feed grass too early in the spring, the nitrogen will likely promote rapid growth of cold weather weeds, which is not ideal. 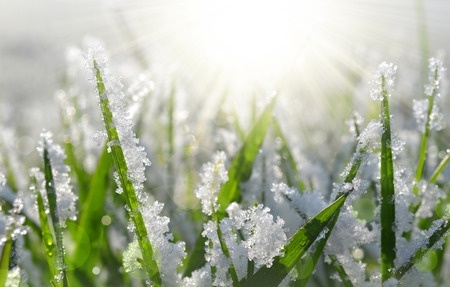 Both cold weather and warm weather grass need fertilizer in the spring when their growth cycle begins. During this time, both grass types need nutrition. For maximum growth, fertilize warm-season grass in late spring and cold-season grass in the fall. Q: When to Plant Perennials in Spring? After a long and unpredictable winter, spring is here and it’s time to plant flowers. The best time to plant perennials is when the ground is moist, which is in March to early May and again in the fall (late September to October). Annual plants live 1 year, while perennial plants live for 3 or more growing seasons. Usually, annuals tend to be more flashy and extravagant in their appearance. Annuals bloom all season long and are often bright. In addition, some annuals may also be “self-seeding”, meaning annual flowers may pop up next year in places that you didn’t plant them! On the other side, perennials live for a couple seasons. It’s important to note that the term perennials does not just refer to flowers. It also refers to shrubs and trees. Perennials usually have a decreased growing period compared to annuals. Many homeowners and gardeners choose to pair perennials with annuals to maintain consistency throughout the year. What are examples of perennials? Examples of popular perennial flowers include lilies, tulips, black-eyed susans, and asters. What are examples of annuals? Examples of popular annual flowers include petunias, marigolds, and zinnias. Q: What Perennials Should I Plant in Spring? 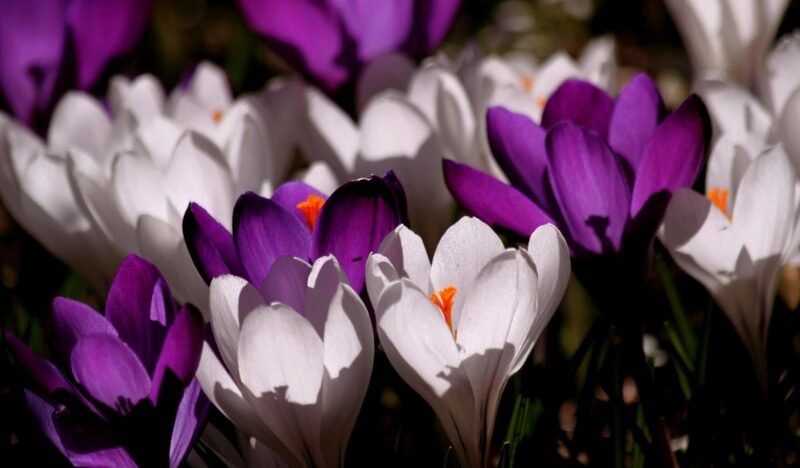 Bulbs that bloom in the summer are the best bulbs to plant in the spring. The best early spring bulbs include tender bulbs, such as dahlias and gladiolus (also called the “sword lily”). We reported above that perennials are best to plant when the ground is moist, which is usually in March to early May and again in the fall. What is a hardiness zone? A hardiness zone is a geographically defined region in which plants are capable of growing based on certain zones. Most cities in Georgia are in a hardiness zone between 6 and 9. For a full list of hardiness zones for Georgia cities and counties, visit here. Q: Can You Plant Tulips in the Spring? It’s no doubt that tulips are the epitome of springtime. But in order to soak in the benefits of having beautiful tulips in the spring, it’s important to plan ahead. Typically, tulips require approximately 14 weeks of cold weather in order for them to store the proper nutrients to thrive in warm weather. 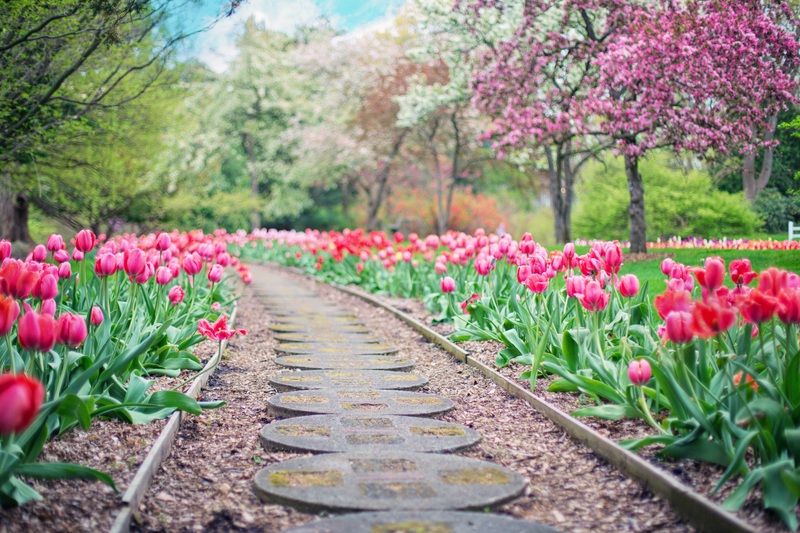 In addition, planting tulips in the spring may provide a pretty foliage for your lawn, but you might not spot some tulips until the following spring. The best time to plant tulips is in late winter. Our professional landscape architects at Mansell Landscape Management can help you with all your landscaping needs. Landscaping is an art, and one that we know well! If you are interested in hardscaping, landscape design and installation, or lawn care maintenance, call us today at (770) 517-0555 or contact us here. This entry was tagged curb appeal, landscape, landscape management, landscaping, lawn, lawn maintenance, spring bulbs, spring landscape management, spring lawn, spring lawn maintenance.